A stink bug seeking higher ground from the rain. So the rainy season has started here on Jeju-do. This means it will rain for a month or two straight from what I gather. It’s already been nine days of rain in a row so far. The whole island is covered in a thick fog. Everything starts to look dreamlike, fading in and out of existence as you move by. So far I rather like it, but I’ll get back with you in a couple more weeks and see if the novelty has worn off. I spotted the bug above yesterday morning. He climbed up on top of Nancy’s bike that is covered with a white tarp. I think he was heading for higher ground until the rain slowed. So I jumped up and went out to shoot. I used a flash with a diffuser. 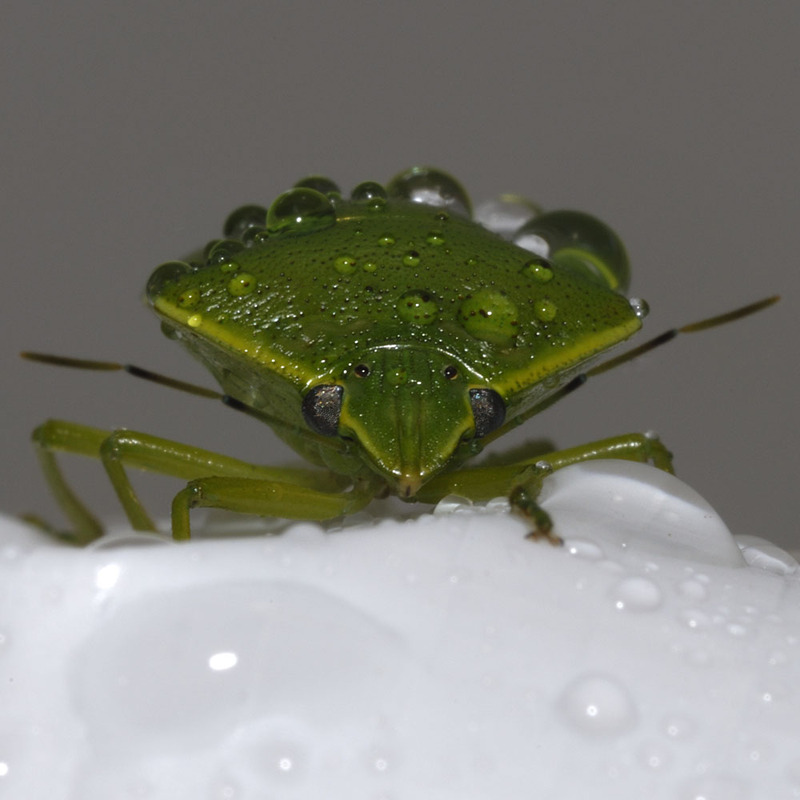 This is a stink bug, or also called a shield bug.